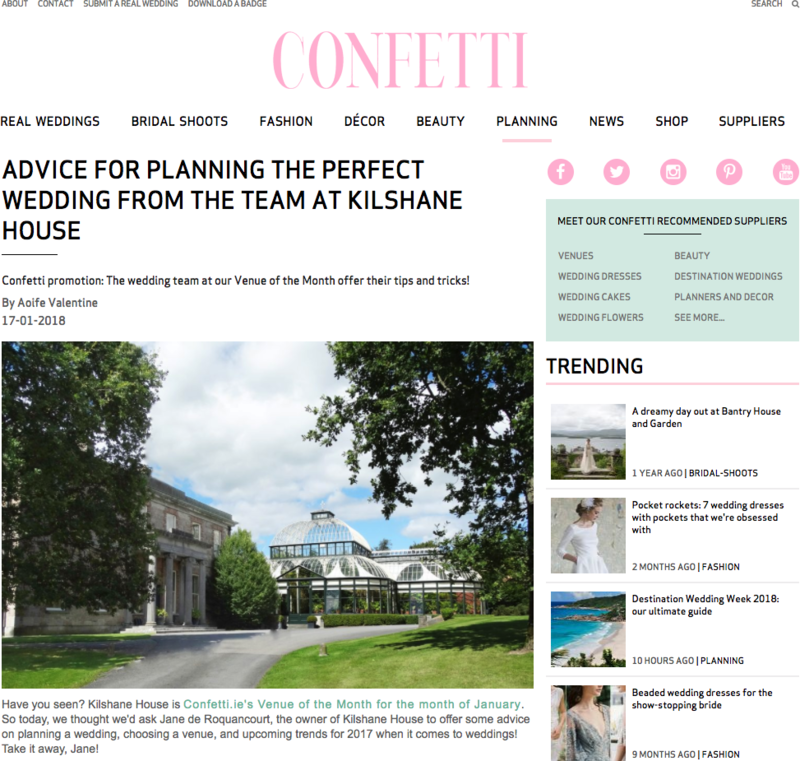 Design and development of the Confetti.ie website. 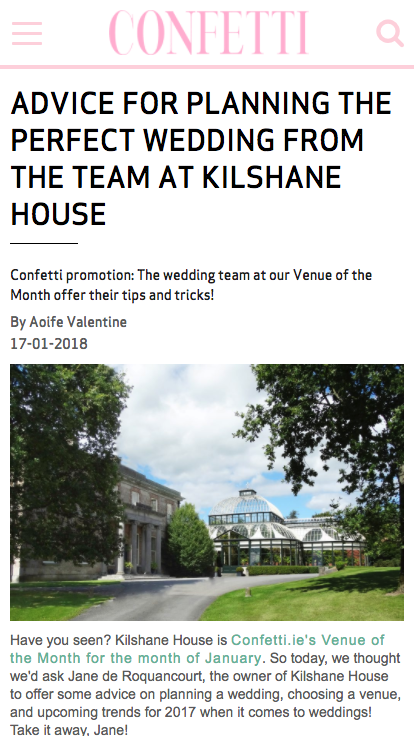 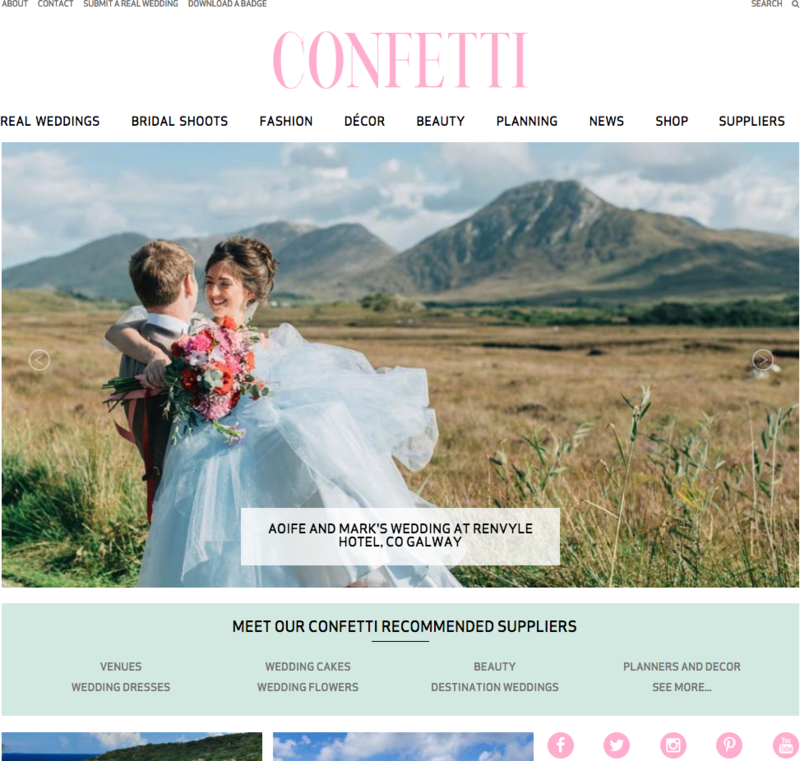 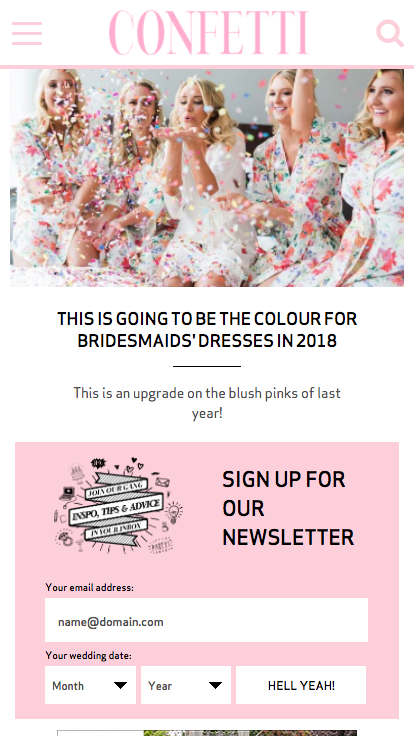 Confetti magazine is Ireland's best loved bridal quarterly, packed with fashion, advice, venues, real wedding stories, reception ideas and honeymoon destinations. 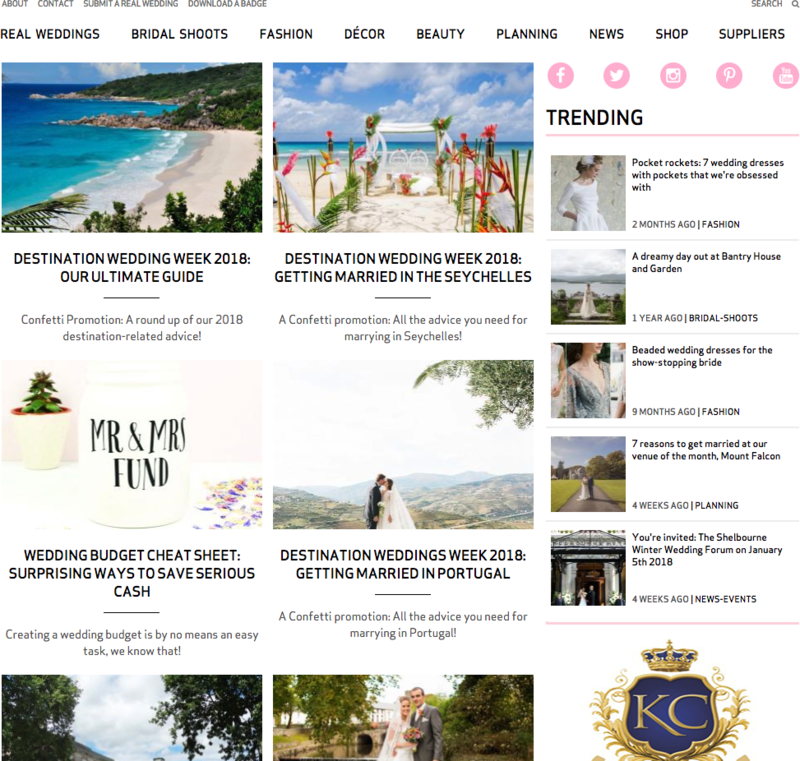 Square1 were commissioned by the team at Confetti Magazine to design and develop a fully mobile responsive website for the magazine publication. 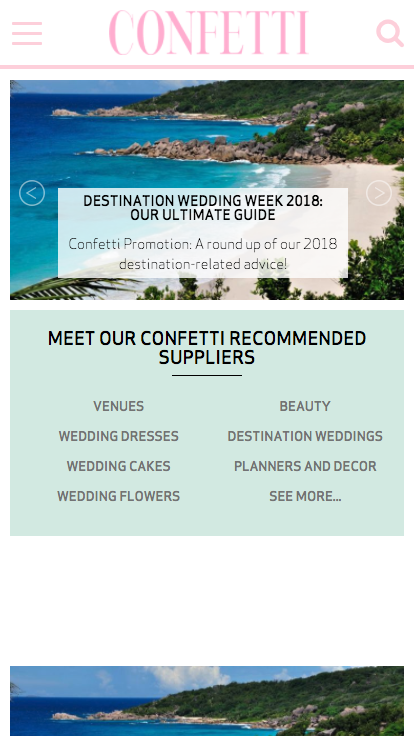 The new site is fully integrated with Google DFP ad server, this allows the team at Confetti full control over site wide sponsorship integrations.